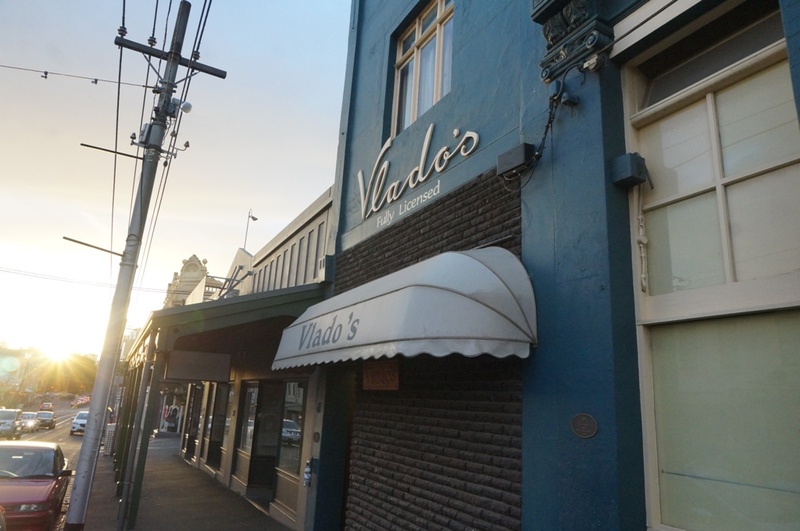 For what would be my last steak in Melbourne, Vlado’s seemed fitting; it’s an iconic venue, housed in a brick building on Bridge St in Richmond with a menu that hasn’t changed since the beginning, which now comes to over 50 years. 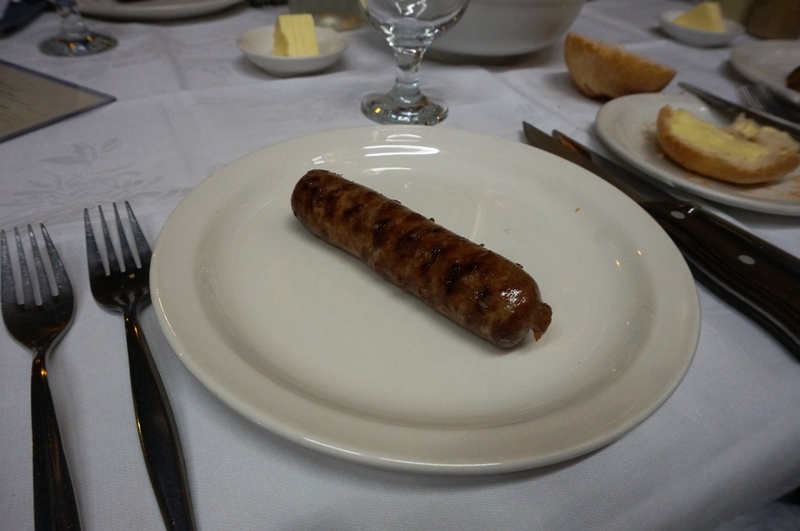 We started the night with the appetizer, their house made sausage, char grilled, the sausage was full of flavour with just the right amount of fat, my favourite thing about it being the course grind they’d used, setting it apart from your average sausage. 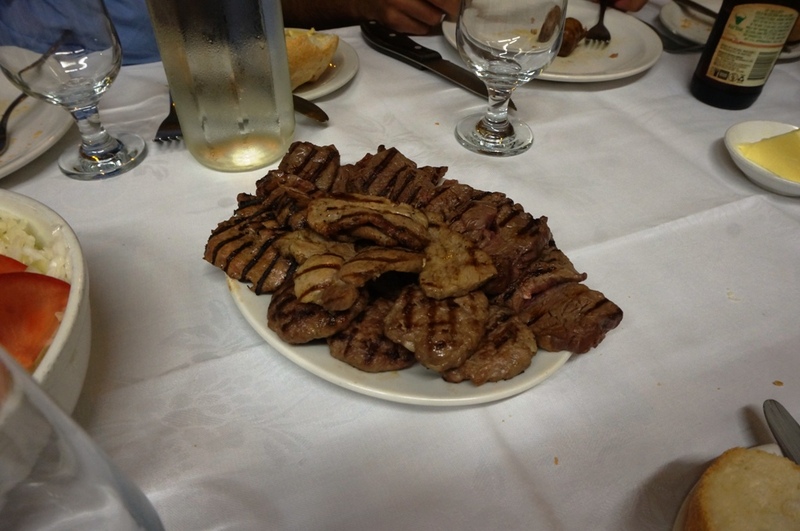 Next out was the entrée, a meat platter to share, grilled and seasoned pieces of calf liver, hamburger patties and pork neck as well as unseasoned pieces of eye fillet. 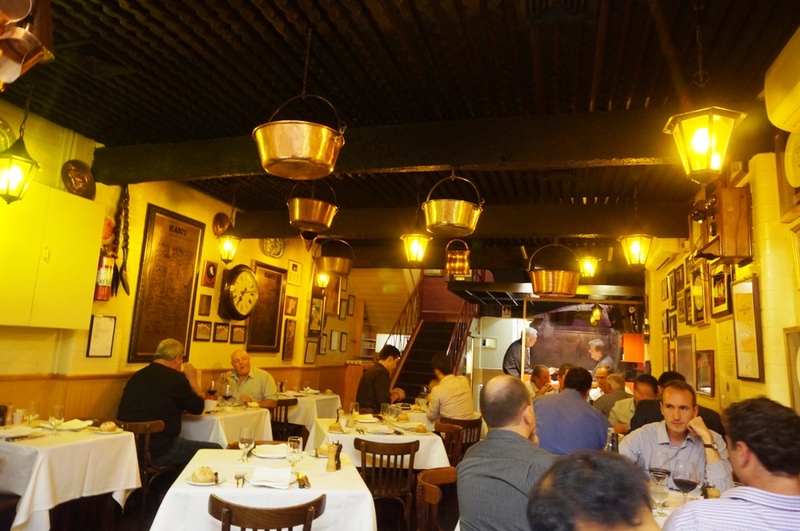 Everything grilled to perfection, and charred just enough to enhance the flavour but not too much to be overpowering. My personal favourite on the plate was the pork neck, seasoned and grilled to heavenly perfection. 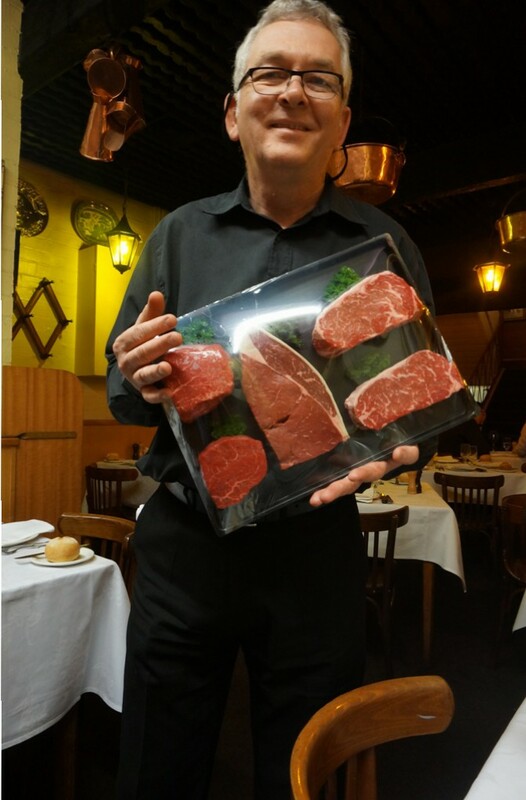 Finally the main event, we had the choice between an eye fillet, rump or porterhouse with the option to upgrade to a wagyu 8+ porterhouse. 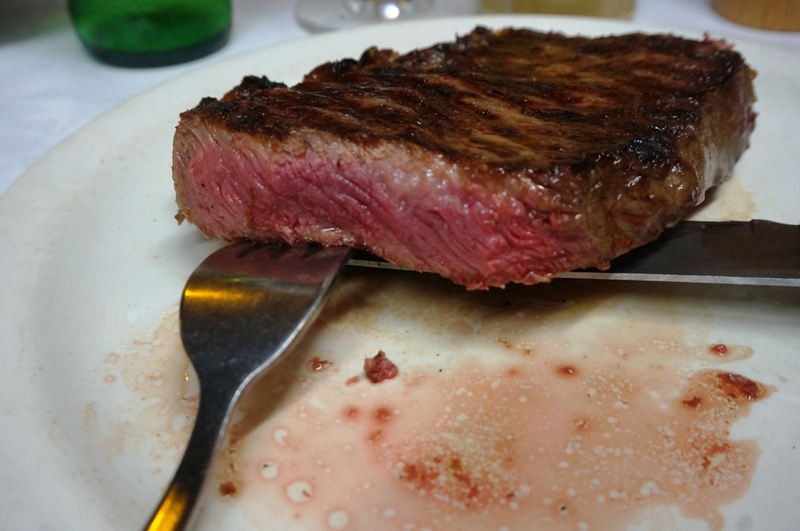 Naturally I upgraded and ordered the wagyu, I decided to let the man pick what he would cook it to, he said it would come out between medium rare and rare. The steaks arrived and they were heavily charred and smelled amazing. 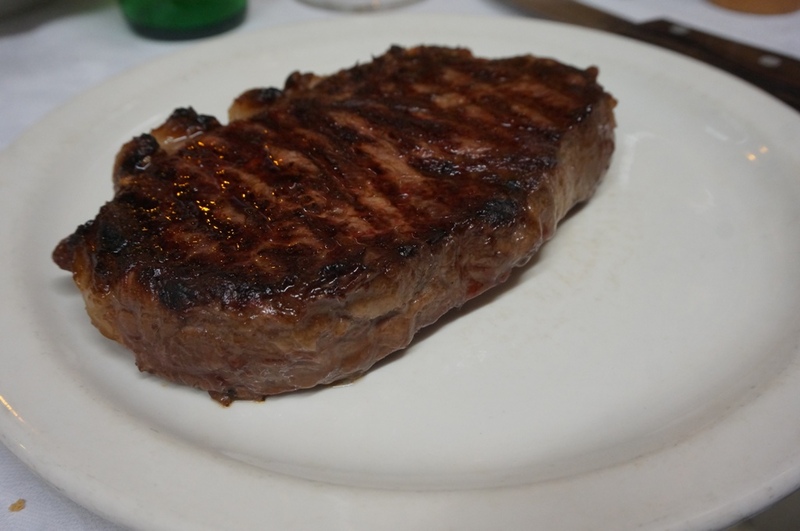 The cooking was great; I found it to be just enough to have melted the fat into the meat but not enough to make the steak grainy or tough. 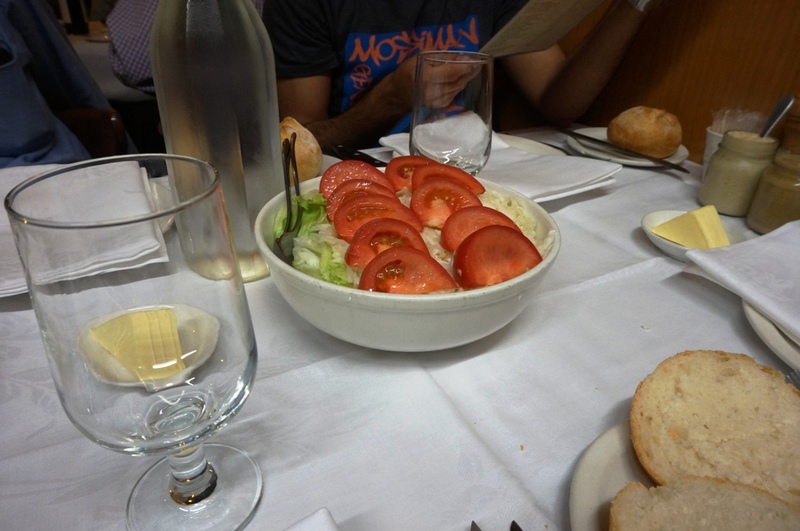 The char, salt, fat and Vlado’s house mustard all went perfectly together and married for a great eating experience. 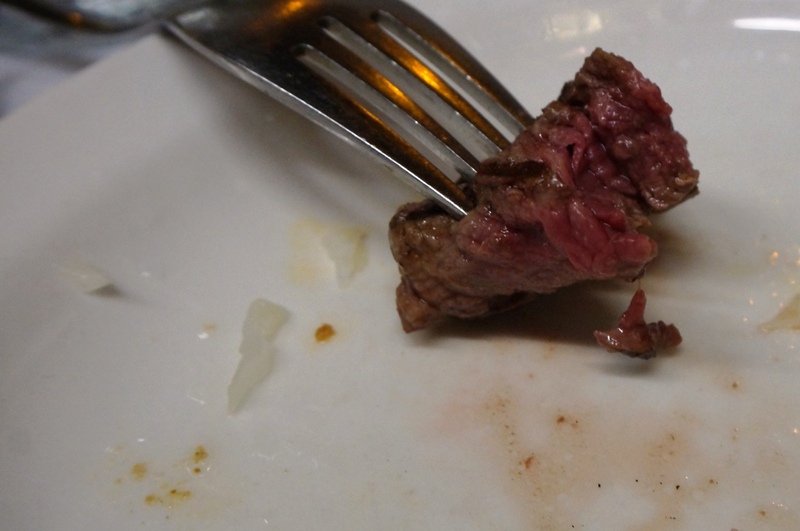 There weren’t too many downsides to the steak but it was not as euphoric as I had heard it to be. 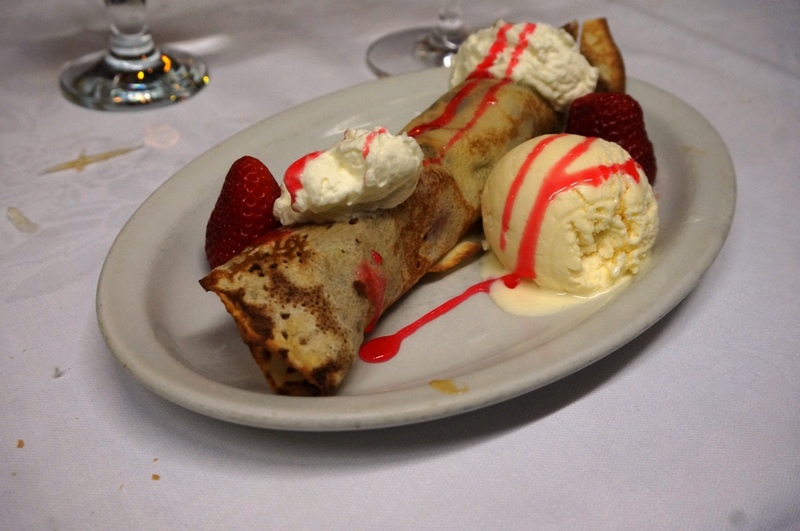 After the steak we came to the last course, a strawberry and cream crepe, no nonsense, sweet ending to the night. 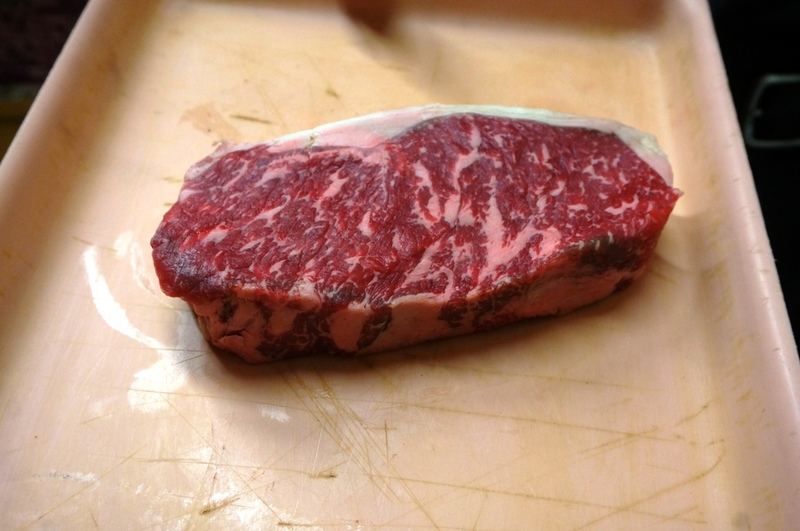 Posted on July 10, 2015 October 13, 2015 by AdrielPosted in Melbourne, SteakTagged Eye Fillet, Great, Melbourne, Porterhouse, Rump, Steaks, Wagyu.